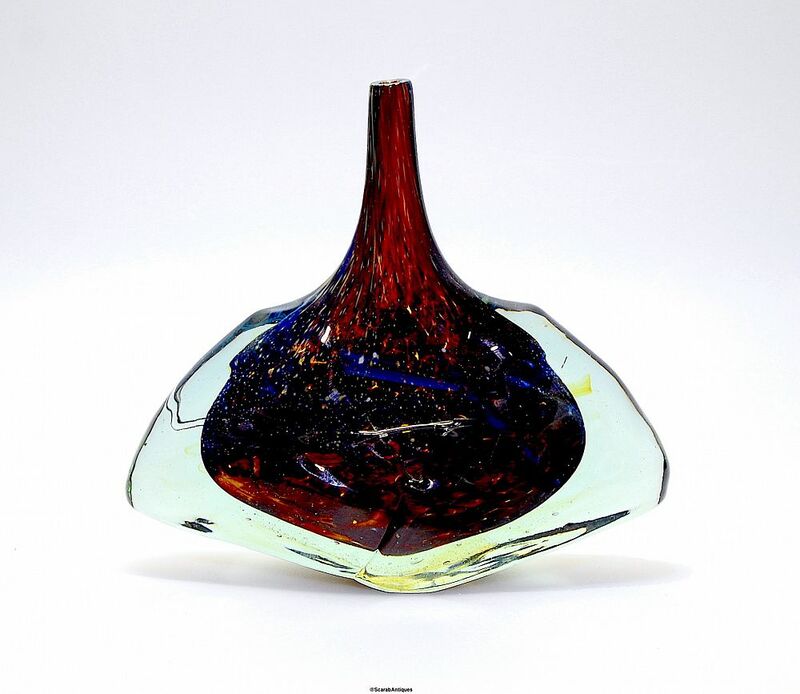 This is one of the iconic Fish vases designed by Michael Harris for Mdina Glass but made in 1977 after he left Mdina Glass. 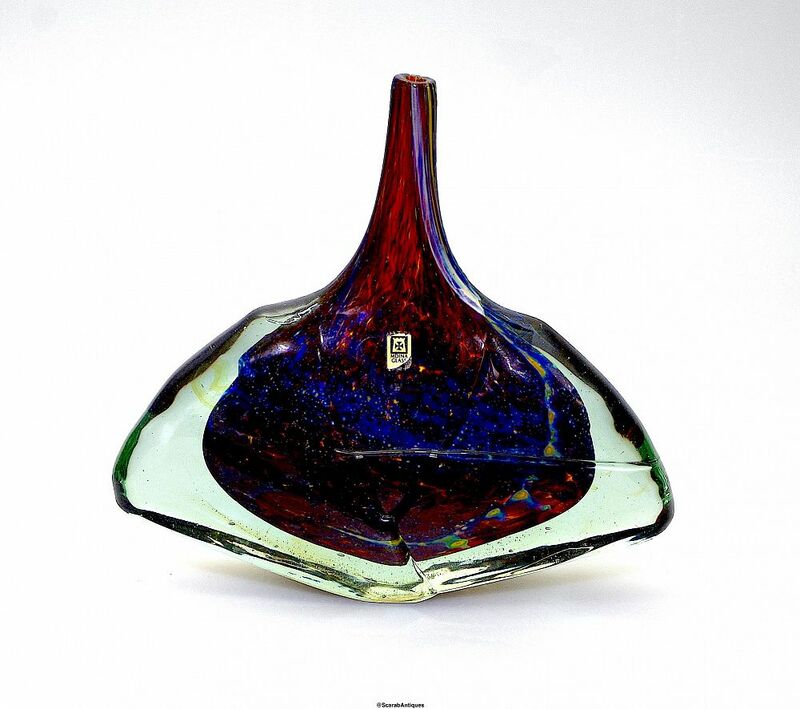 This small vase has an internal mottled brown colour with swirling silver oxide streaks. 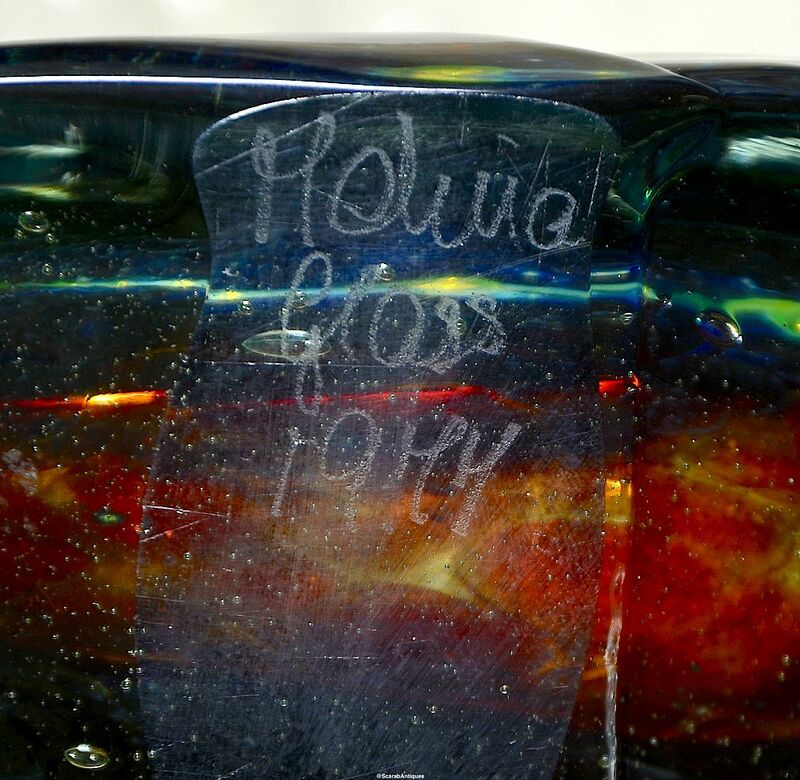 The clear glass casing has horizontal trails of clear glass and the base is signed "Mdina Glass 1977". Most of the black & white Thomas Tower Mdina Glass label remains. A great piece for your collection.